Are Plastic Straws Out? Plus, Alternatives! 1. Stainless steel – We already use stainless steel straws in our home for cold beverages I’ve never taken them out…yet. You can buy my favorite ones here for $6.89 for 4 on Amazon (note, the price could change at any time). It even comes with a handy brush for easy cleaning. 2. Rose gold straws – Okay, so this is the same as the stainless steel straws above but they’re straight and half of them are rose gold!! Who doesn’t love rose gold? Now you can feel a little fancier while helping save the planet. This set is available here on Amazon for $14.95 and comes with a cleaning brush and convenient carrying case for on the go sipping. 3. If you’re Shark Tank lovers like myself you’ll remember an edible cup and plate company. That company is Loliware. Well, they are in the process of making edible straws. You can preorder yours here for a discount through Indiegogo. Lolistraw by Loliware – It’s the world’s first edible and hyper-compostable straw. The Lolistraw is made from seaweed and its coloring and flavor comes from fruit and vegetable pigments. How cool?! 4. Hay straws! Sounds crazy but fun, right? 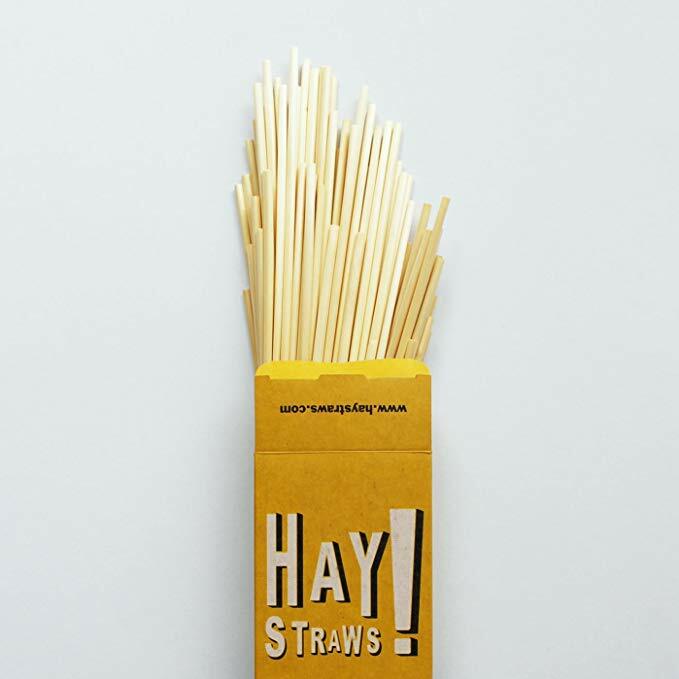 Hay straws are made from wheat stems, which would other wise go to waste. You can find them here on Amazon and get a pack of 100 for $10. 5. Glass straws. 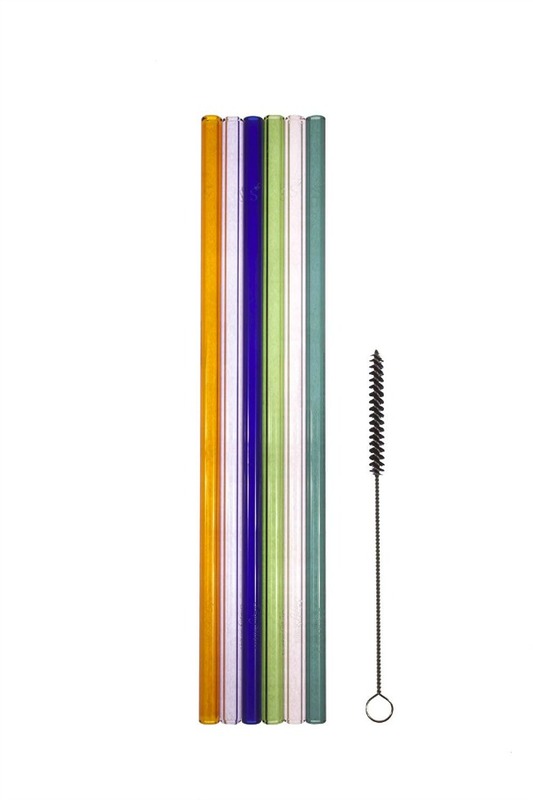 These aren’t your plain Jane glass straws, these come in six beautiful colors and are shatter-resistant. This might be the set I need to get for my son to take with us to restaurants! It’s not quite the vibrant Starbucks green but I think he’ll like it. You can find this set here on Amazon for $10.29. 6. Aardvark paper straws. 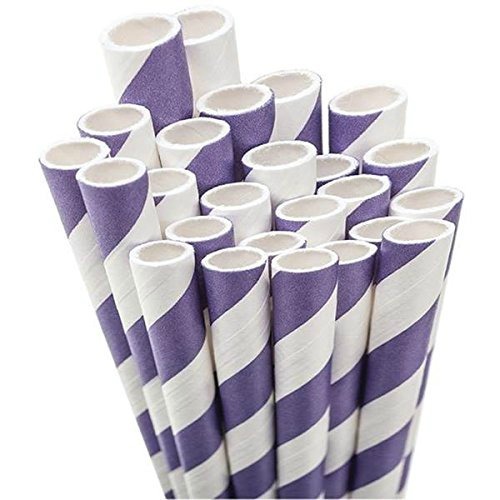 These paper straws are made right here in the U.S. using only materials that are non-toxic, BPA free, and elemental chlorine free. This sounds like a great change from plastic straws anyway, don’t you think? You can find these here on Amazon. I’m not giving a price for these because they come in a variety of colors and sizes so the price varies greatly. 7. 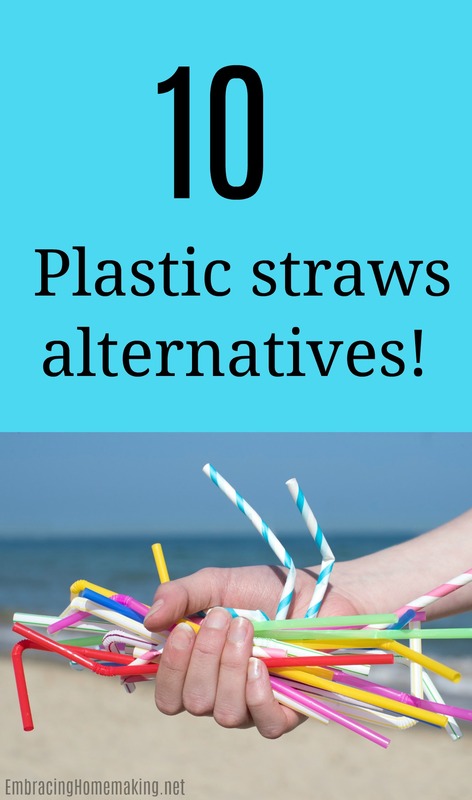 Plant based straws. 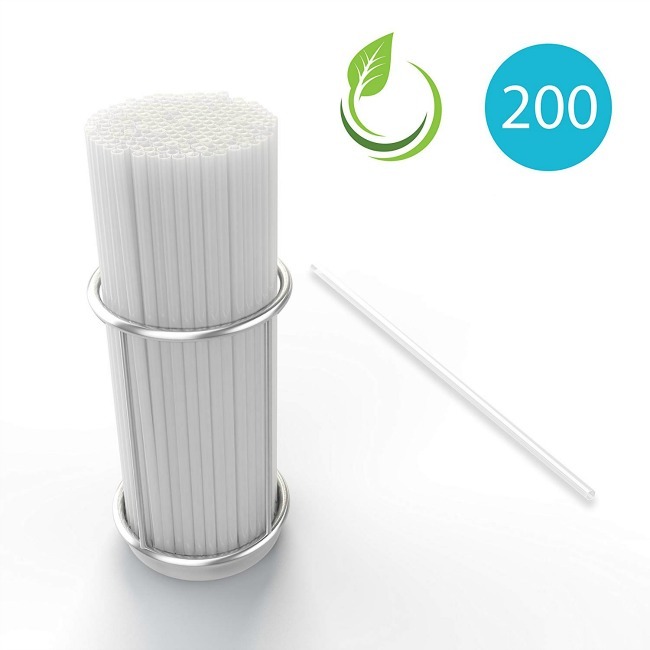 Their Amazon listing says, “Straws are awful for the environment but not these, these straws are made of plant-based and other non-toxic materials, they are even compostable! There is no petroleum and they are completely food-safe.” That sounds good to me. A friend of mine just found out that her work uses these. She has used them for months and never realized it wasn’t a “regular” old plastic straw. You can get a pack of 200 here on Amazon for $11.50. 8. Simply straws. This party pack of straws comes wit a heftier price tag but comes with a lifetime guarantee. 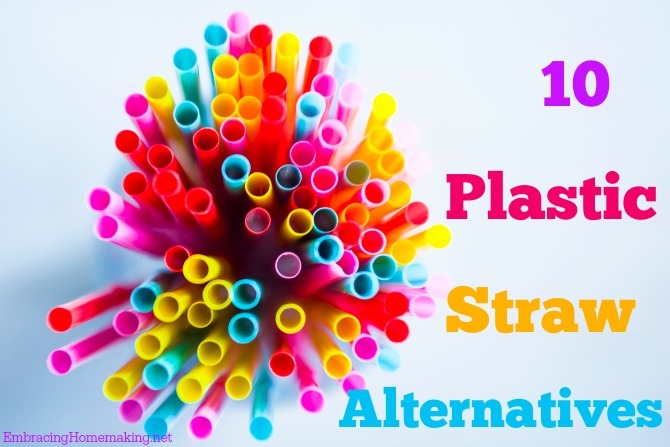 The blue straw is especially vibrant and lovely! You can get this set here on Amazon for $44.43. 9. 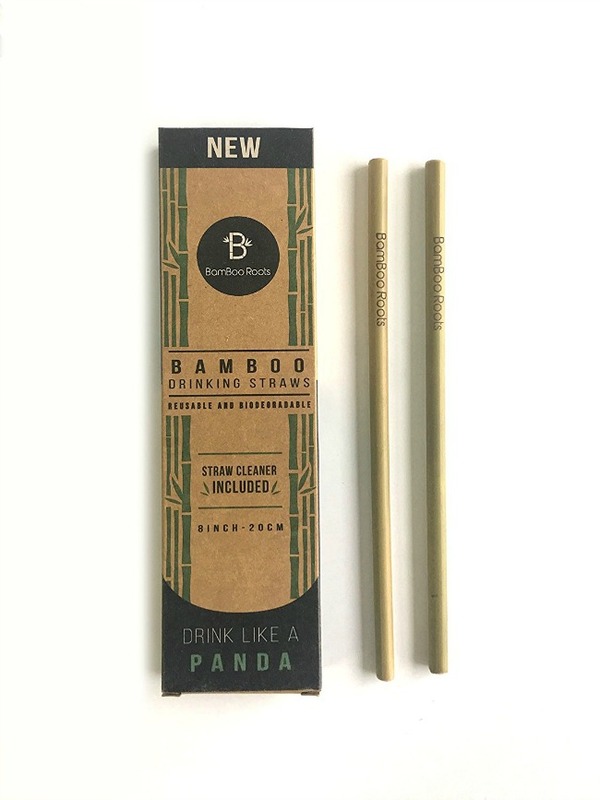 Bamboo drinking straws. This eco-friendly product boasts, “100% ORGANIC, PESTICIDE FREE, FERTILIZER FREE, AND GMO FREE are all top priority factors for a premium product.” This set of 12 sells here on Amazon for $12.21. 10. Silicone reusable straws. 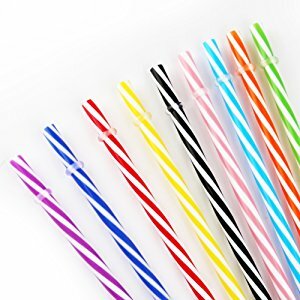 This rainbow set of angled straws will be great for on the go drinking. This set sells here on Amazon for $8.99. An affordable option that is also kid-friendly and dishwasher safe. 11. 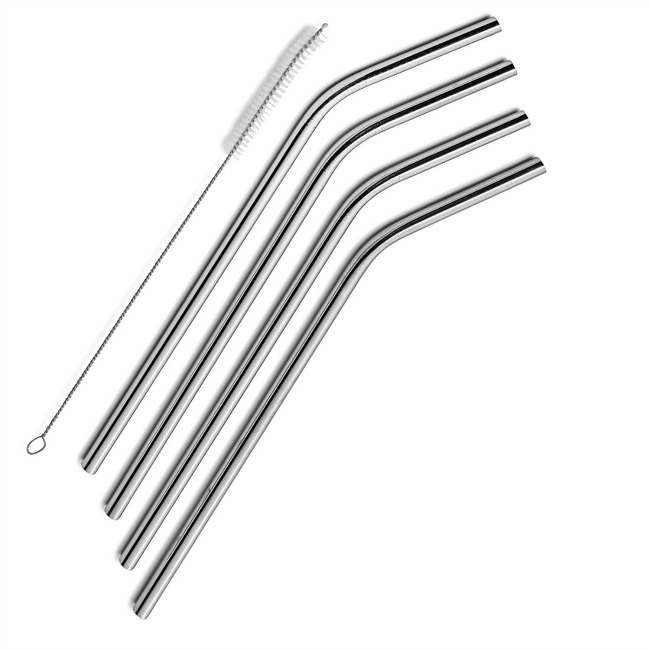 Hard plastic reusable straws. 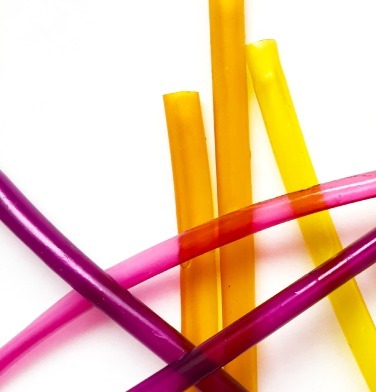 These straws are colorful and will bring a little pep to an otherwise boring meal. 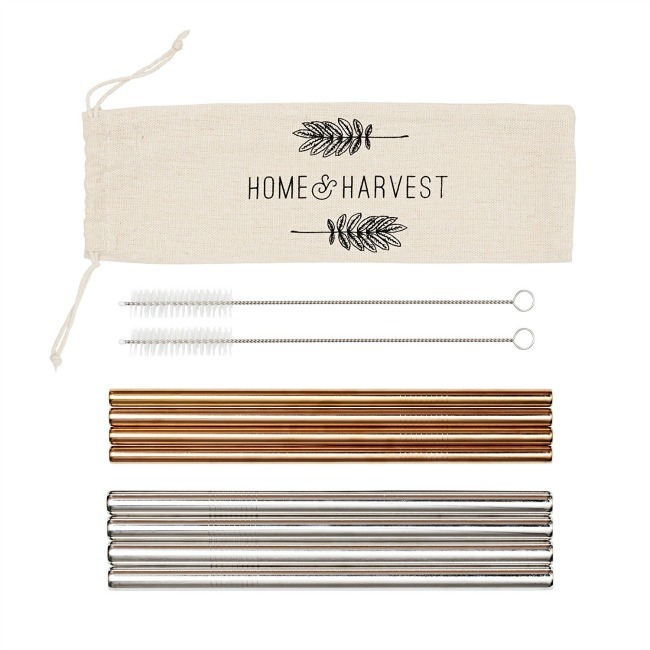 This 18 straw set comes with a cleaning brush and is available here on Amazon for $6.99. 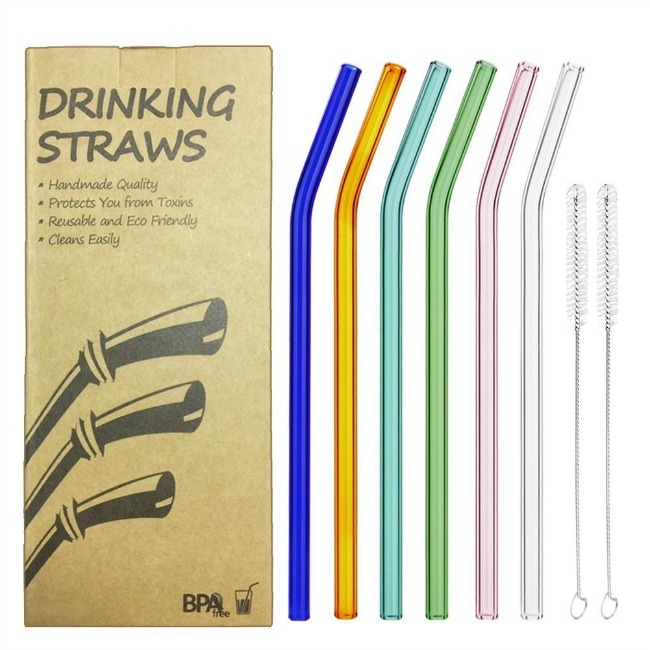 Those are the best reusable straw options I could find but I would love to hear if you know of another one. I heard of a really cool ice mold you could use to make an ice straw. Obviously, this wouldn’t be great for travel but super fun on a summer day. Unfortunately, it isn’t still in production.